Just imagine, you come home after a hard work, get rid of inconvenient shoes or heels, you are even so tired to take off your clothes and all you want to do is to watch some of your favorite TV shows, isn’t it? A few years ago we have to run to home to watch TV at the right time, we were afraid of losing important information or moments. Now the time has changed and it’s all about the Internet. All we need is a portative computer, a tablet or a smartphone at hand and the internet connection, of course, and all the world of TV shows open their gates for you. Whenever and wherever you want to. 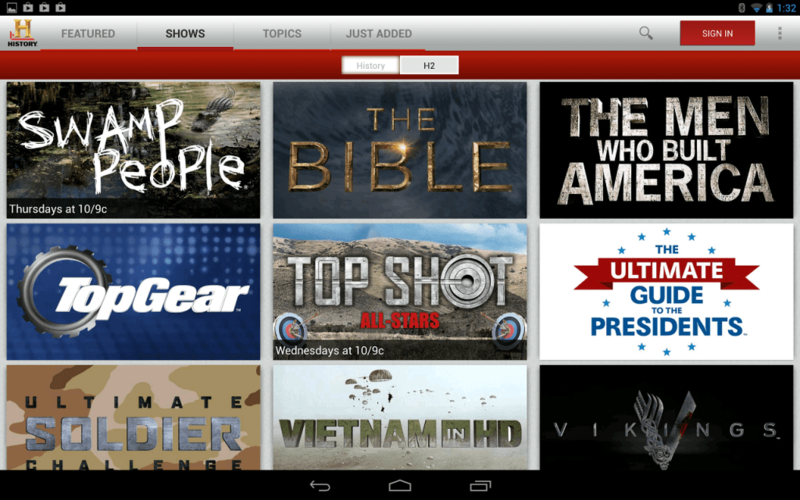 Without a doubt, all tablets ,in general, are the best devices for watching TV shows in a high quality. 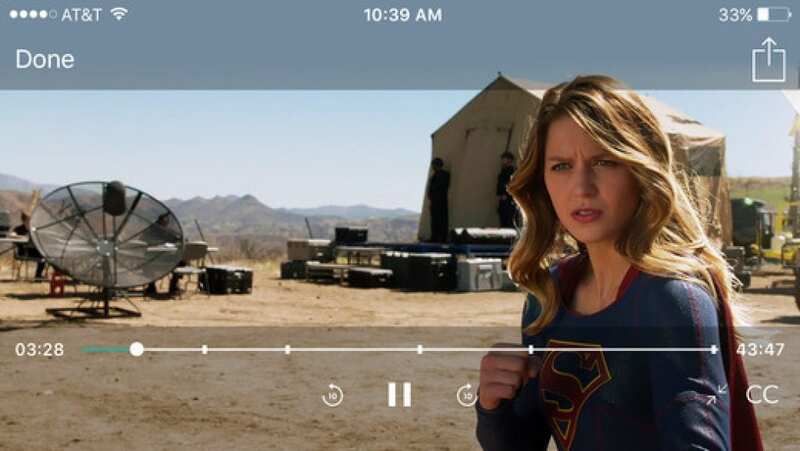 Firstly, they are beautiful devices with a big screen, high-resolution, Retina display and long battery life, which is also a big plus if you don’t want your show will interrupt at the funniest or the mist important moment. And if you are on your way to home, watching a TV show is the best way to pass the time. 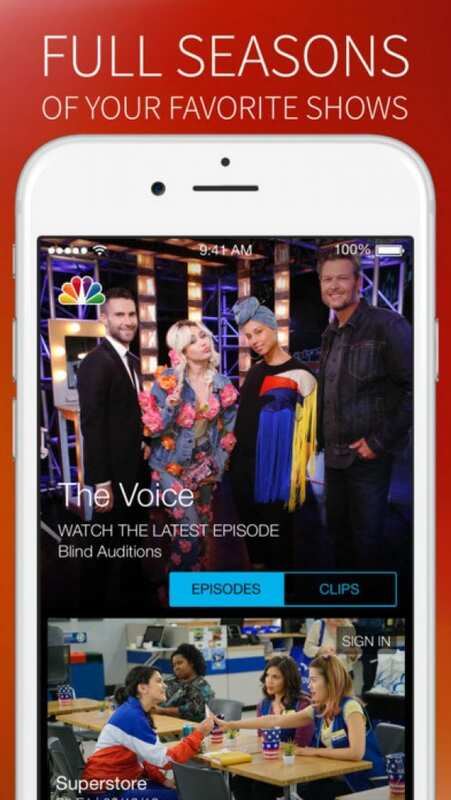 There is no more convenient way that watching on your iPhone or Android device. If we talk about real good applications for watching top TV shows, we have to notice the A&E. 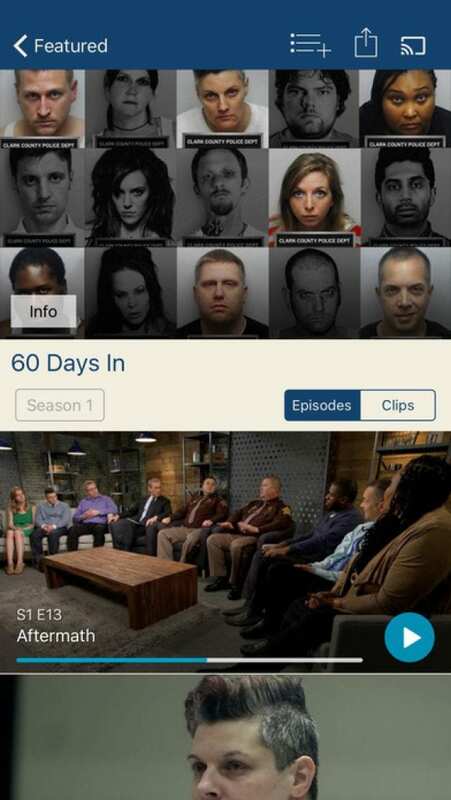 Get your fill of A&E realities, watching such popular show as 60 Days In or The First 48,Duck Dynasty, Intervention and a lot of others. 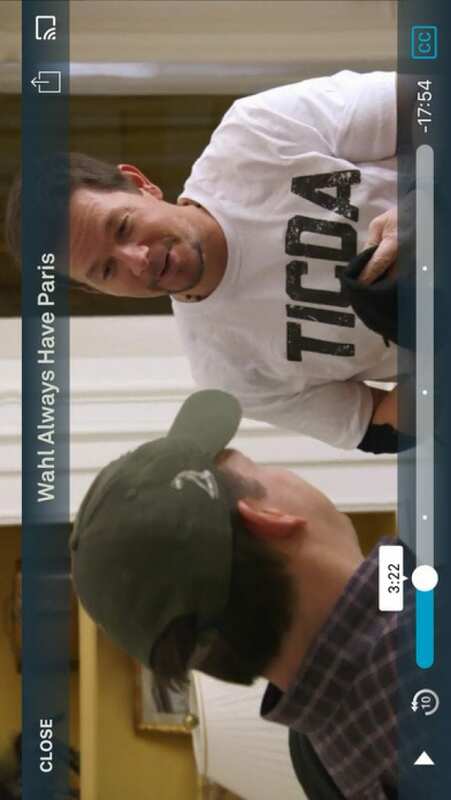 Speaking about its features, you will get an access to exclusive clips and deleted scenes from your favorites. 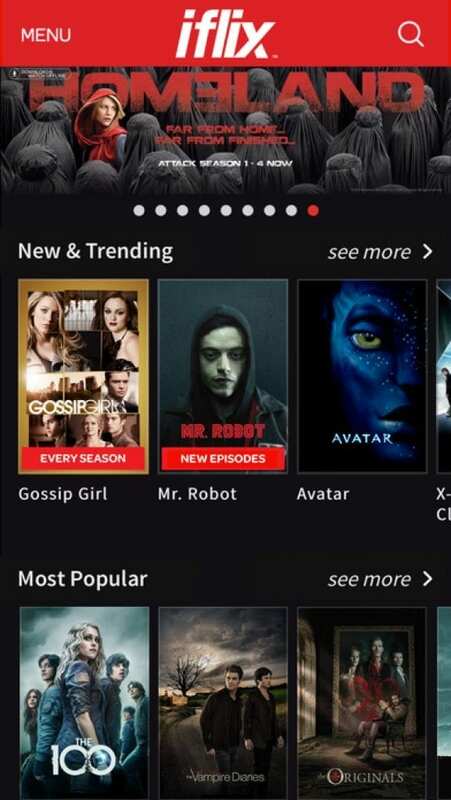 A handy “Watch List” keeps track of the episodes you’ve viewed and lets you pick up right where you left off. 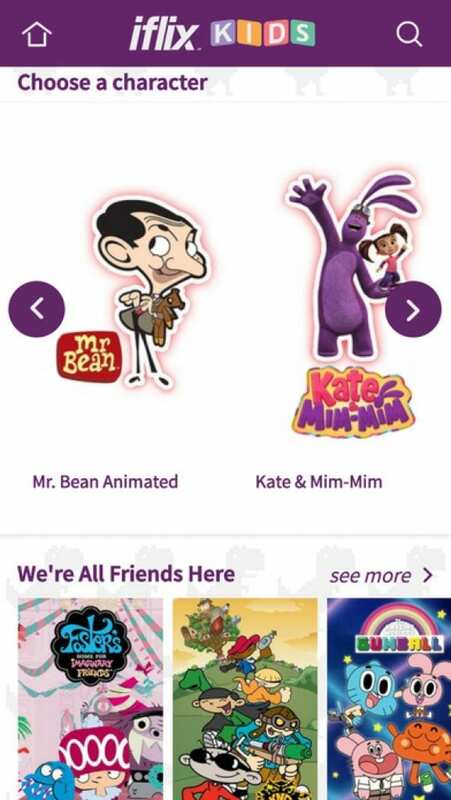 The app is free and doesn’t require to log in, but to get a full access to even more content you should sign in. After you will log in, your cable company account unlocks extra episodes. Moreover, it is available on every platform, whether it is an iOS or Android. 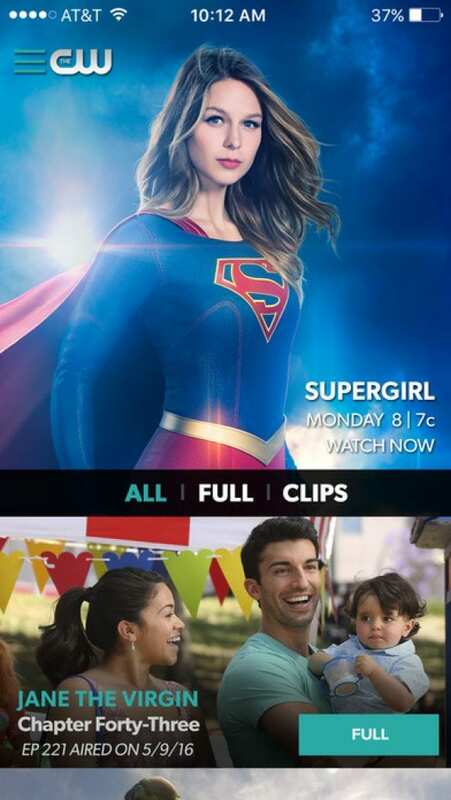 Also, you can see TV shows from the A&E’s website. 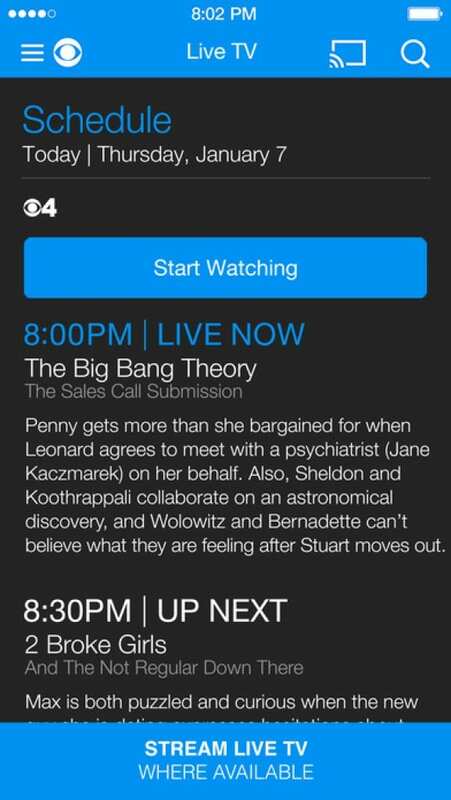 What if all your favorite TV show are collected in one special app. Yes, I am telling you about Netflix. You will find everything you want to. 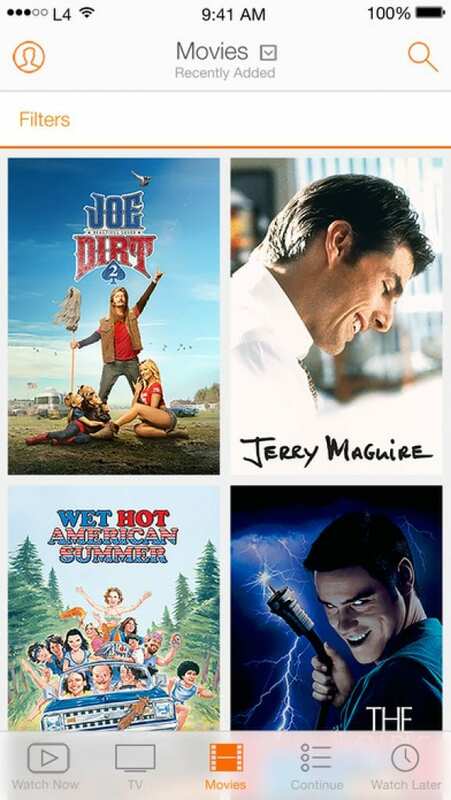 Moreover, Netflix takes care of children and prepare a safe watching experience to watch Tv shows with all family members, selecting some fittable shows and movies. What I really appreciate is a full absence of commercials and hidden fees, the app is free, but the subscription isn’t, and it’ll run you $9 a month. 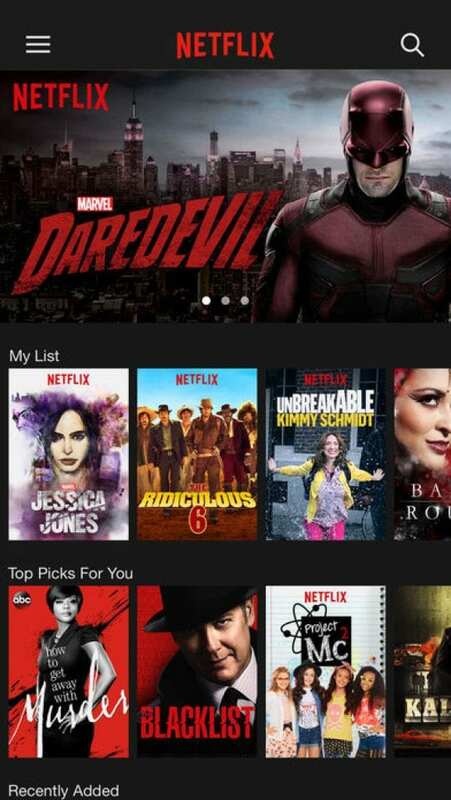 Netflix gets you a month for free using and an ability to create up to 5 different profiles within a single Netflix account. So all your family has an access to their world of entertainment. 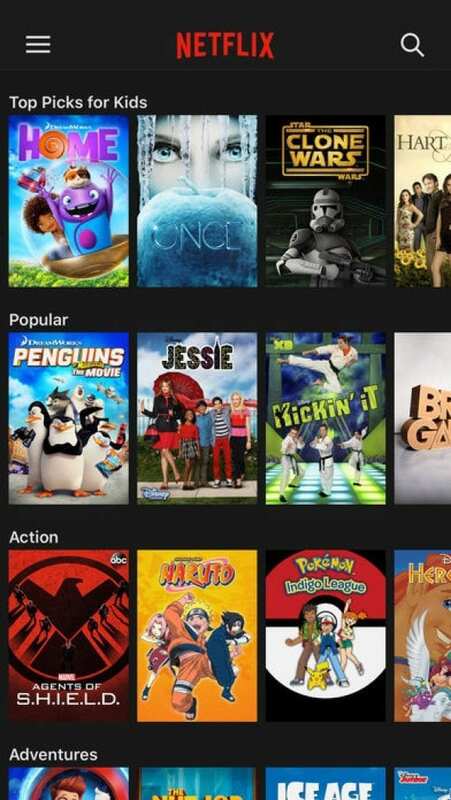 To make a search more convenient, you are given the choice of choosing a TV show from different categories and genres . 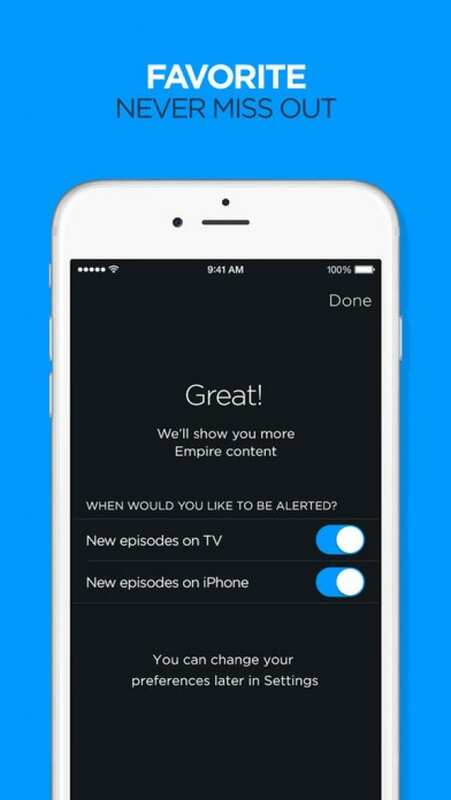 Another interesting application for watching Tv shows for free and on every device. 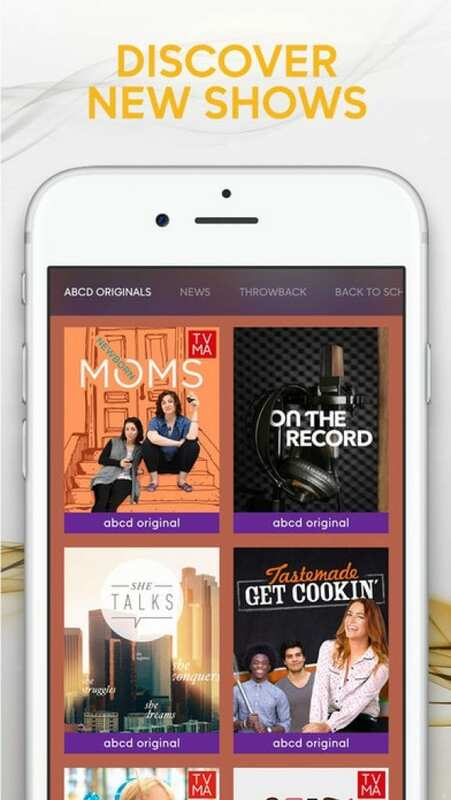 By the way, ABC is one of the first big TV networks with its own mobile streaming app like CBS and so on. At first, it offers to watch full episodes of ABC shows you like the most- Grey’s Anatomy , General Hospital, How To Get Away With Murder and more and other show in ABC’s lineup, daytime (The View, Good Morning America) and late-night (Jimmy Kimmel Live!) included. In general, it is supported on every iOS device , but not on every Android device (a handful of Android phones and a select few Kindle Fire, Samsung Galaxy, and Nexus tablets) So check it ! To my mind, only foreign people haven’t already heard about CBS ( even it is not a fact!). CBS is different from other networks by offering free episodes of its shoe a couple at a time. 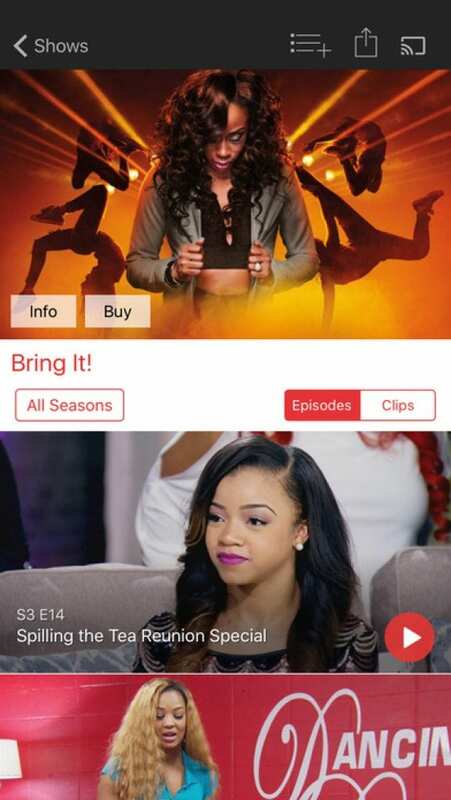 But you will get a lot of advantages, for example, an access to up to 2 recent episodes of your favorite shows like Big Brother, The Big Bang Theory, Criminal Minds, Blue Bloods, Elementary and more others. 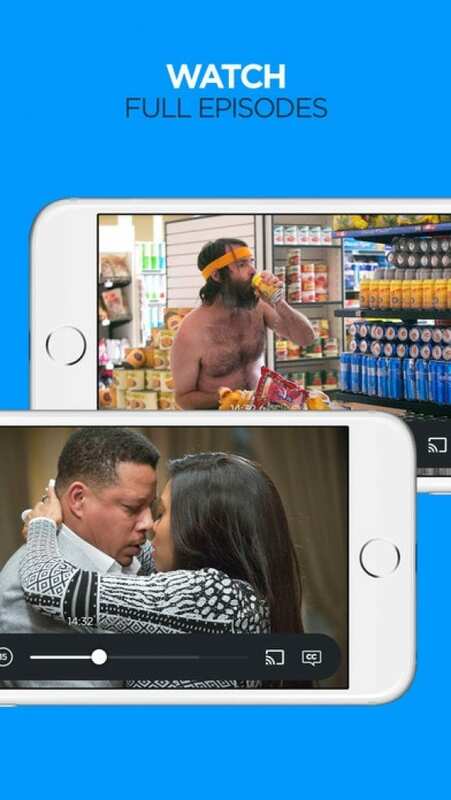 The app is free to download , but you can unlock thousands of additional episodes and live TV across devices when you subscribe to CBS All Access. 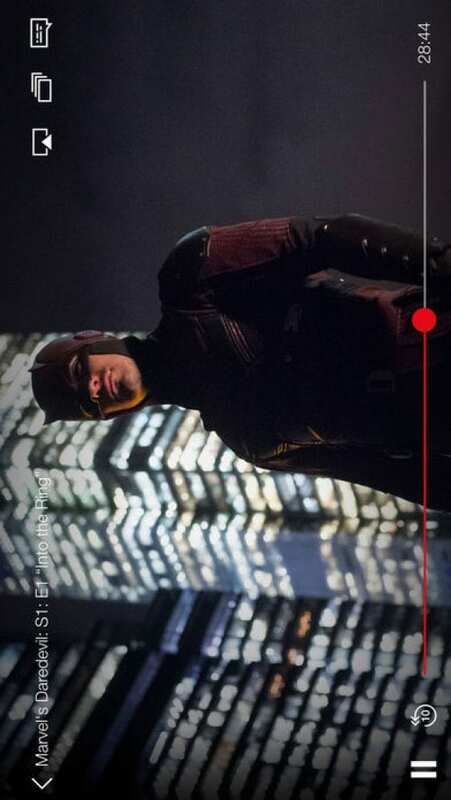 Push notifications and you will never miss watching an episode you are looking forward to. 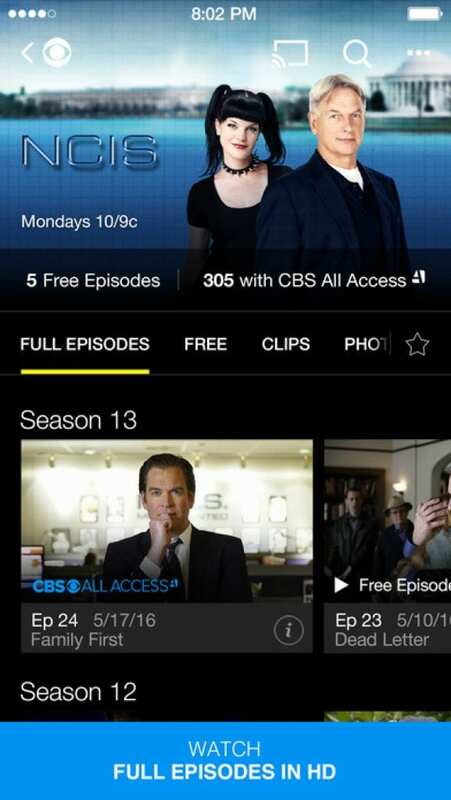 CBS offers 1 week for free using and $6,99 per month thereafter. Not so much for an access to the largest library of popular TV shows. Sorry, but CW Network is on the top of my list of applications that give me the ability to watch my favorite TV Shows. Tyra Banks, Elena Gilbert, Sam and Dean Winchester lovers, you have to download this amazing app not to miss any episode you are waiting for. I am thankful for the absence of identification, any passwords, and hidden fees. 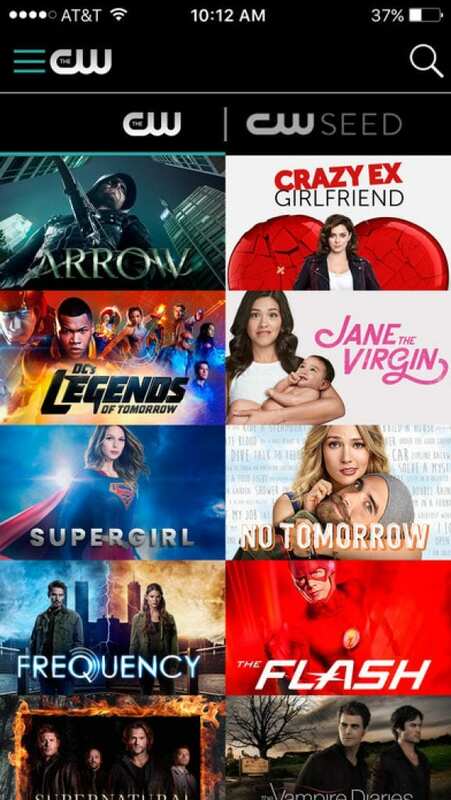 Just install the app and enjoy watching The Flash, Supergirl, Jane The Virgin,The Vampire Diaries, DC’s Legends of Tomorrow, Supernatural, The 100, Crazy Ex-Girlfriend and The Originals and others. All episodes are full and ,what is more, you will be able to watch previews for upcoming episodes, behind-the-scenes extras, cast interviews, and more. 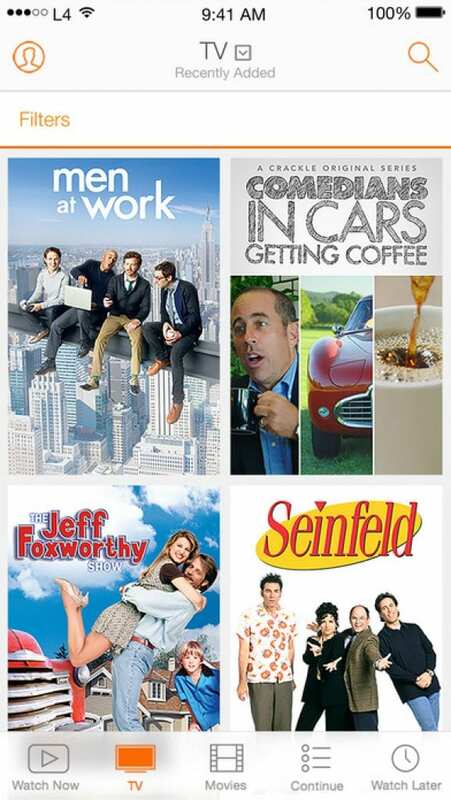 Get fill your favorite TV Shows like Jerry Seinfeld’s Comedians in Cars Getting Coffee, Joe Dirt 2, Sports Jeopardy!, SuperMansion with Crackle. No pay-TV sign-in is necessary, and some shows, such as Damages, include every episode ever aired, all for free. It is not necessary to create an account, but doing it, you provide yourself with an opportunity to continue watching from the moment you left off. Also , create a list of shows you are going to watch soon later. Barney Miller, Seinfeld, Good Times, I Dream of Jeannie and Married with Children and a lot of more wait for you in Crackle. 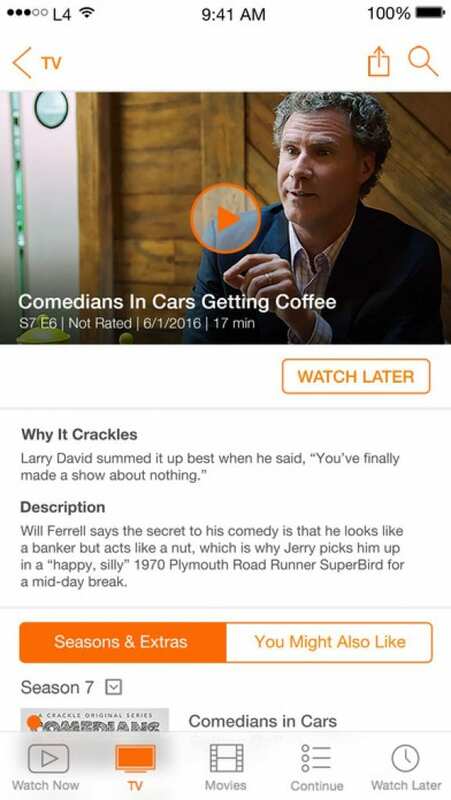 Keep up with your TV shows on your device with the FOX NOW app. Spend a quite evening at home, watching humorous comedy TV show like Tyler Perry’s House of Payne and Meet the Browns, Family Guy, The Office and that kind of things. 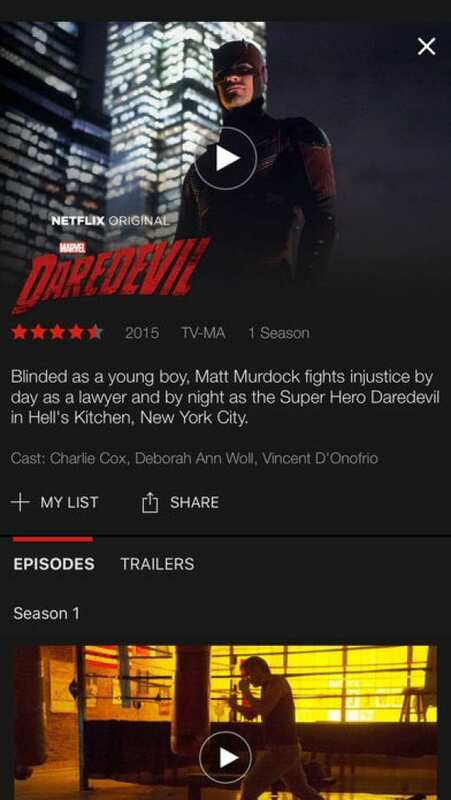 Where else you will be got full seasons of shows that are available. 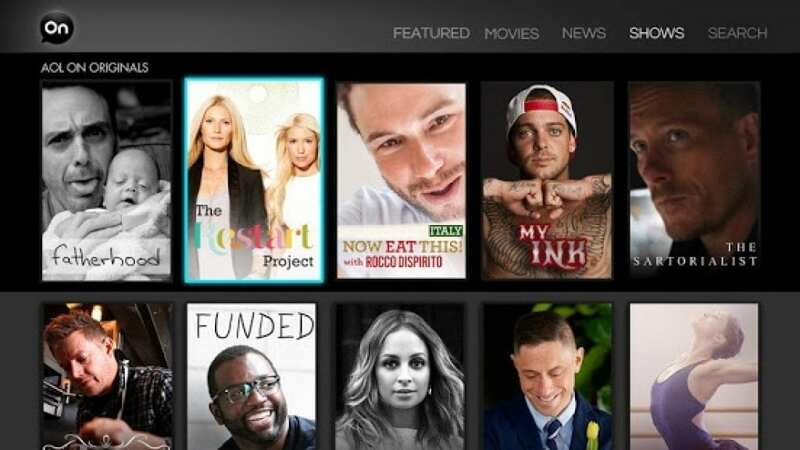 Access to all available full episodes on FOX NOW is part of your pay TV subscription service. We support much more than 70 providers. You will never miss any episode of your favorite FOX NOW show with notifications you can turn on in settings. 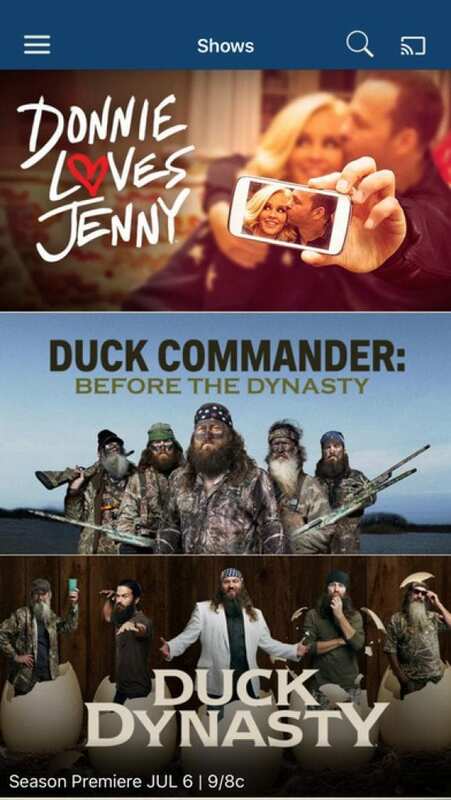 CONS : Unfortunately, if you don’t have a cable or a satellite, get ready to be worried by Fox’s hit-and-miss selection of full streaming episodes. And some recent episodes of a Bones or The Mindy Project will be locked. 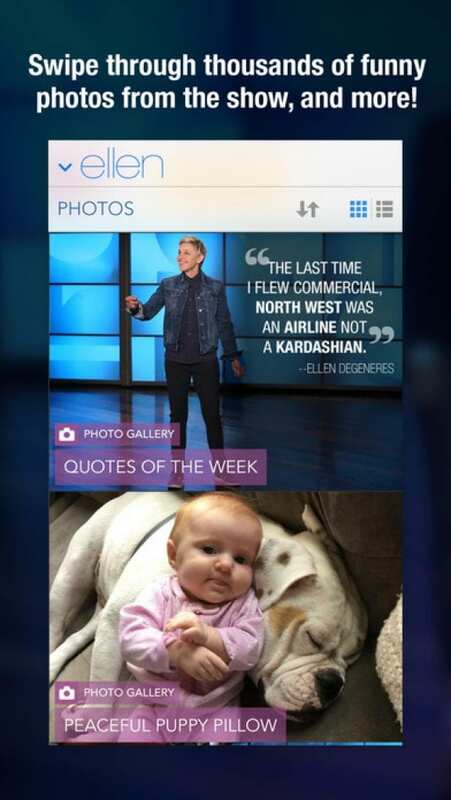 Are you a passionate fan of The Ellen Degeneres show? So, we find the app, providing you with the best moments from recent episodes,the latest monologs, some conversations with interesting persons, interviews, and more a lot. 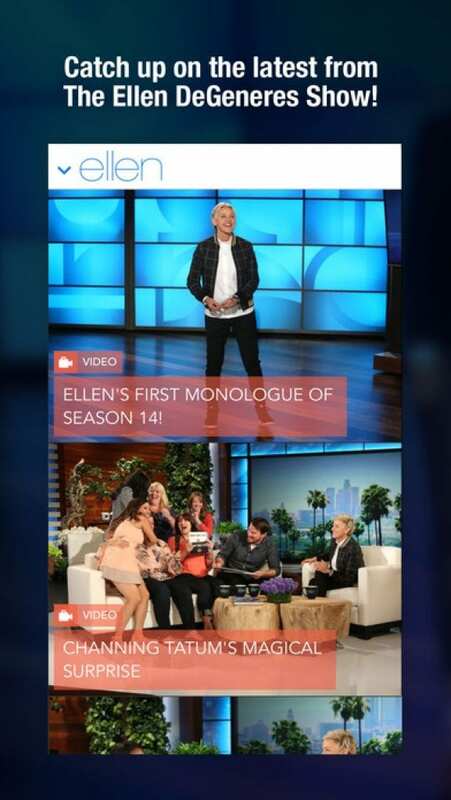 Also, there are pictures and clips from the show and even read what Ellen is blogging. The app is absolutely free and doesn’t require to sign in. Moreover, the app is supported on iPhone, iPad and designed for AppleWatch. 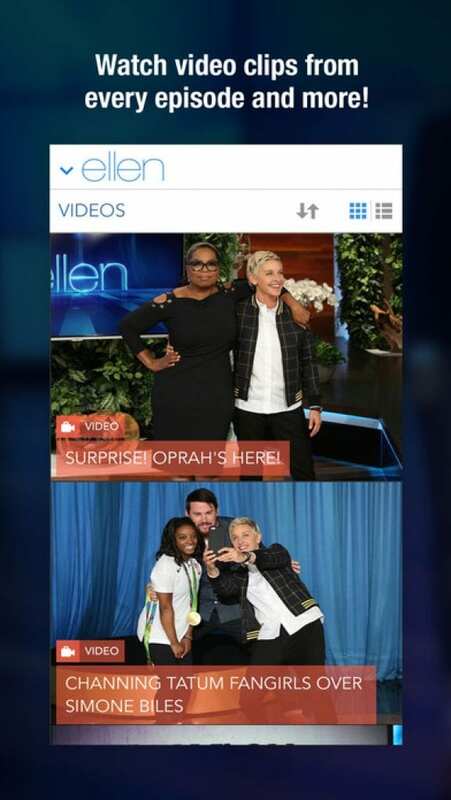 Unfortunately, there is no Ellen on Google Play Store. HISTORY is a separate project by the A&E app and provides you with such gritty reality shows as Ice Road Trucker, Top Gear, Pawn Stars, American Pickers,Gangland, I Love the 1880s and Mountain Men. You will get a free 7 days for using this app and making out its advantages and disadvantages. The minus is a paid subscription, of course. Thereafter it will cost about $4,99 per month. 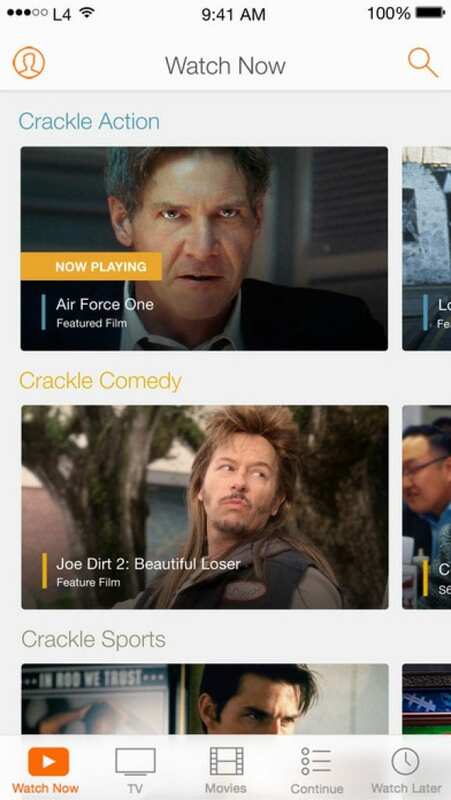 Speaking about its features, for your comfort, there is a list of recently watched shows , so you can continue watching from the moment you left off. Moreover,a handy topic section will help you to browse videos by category from Ancient History toWorld War II. History buffs. CONS: too many ads in each episode, up to 4-5 per one video. 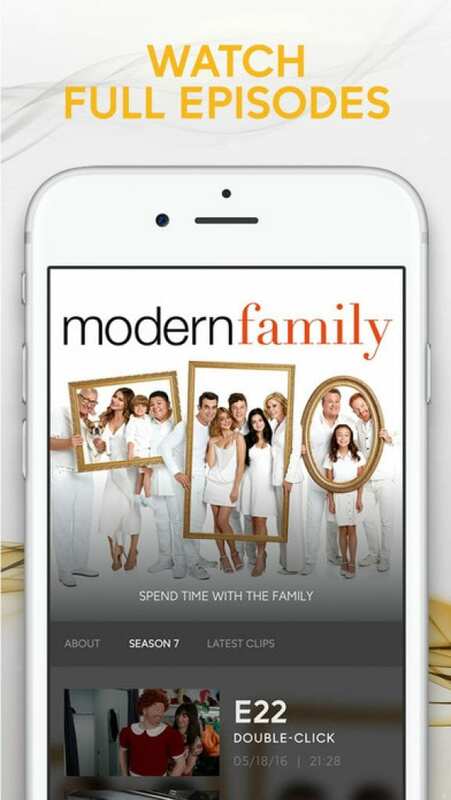 Another cool app by A&E Television Markets Mobile which doesn’t let as get bored. 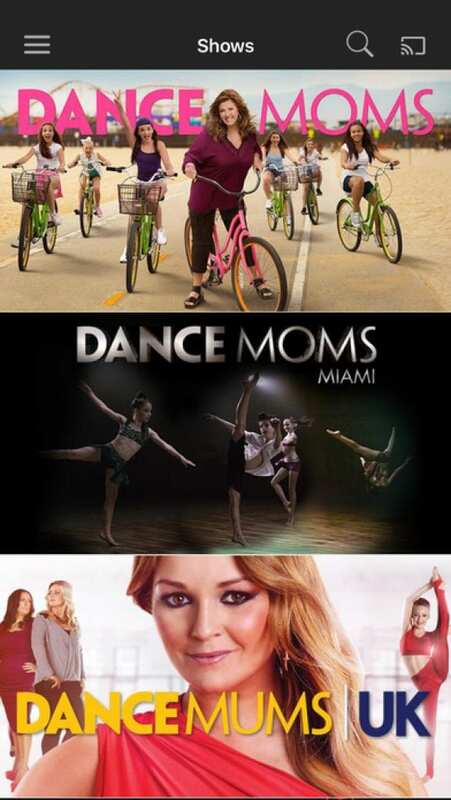 Keep up with full seasons of Dance Moms, Drop Dead Diva, and Project Runway. There will be all latest episodes of your favorite TV, behind-the-scenes and preview clips. The library is developed every day. 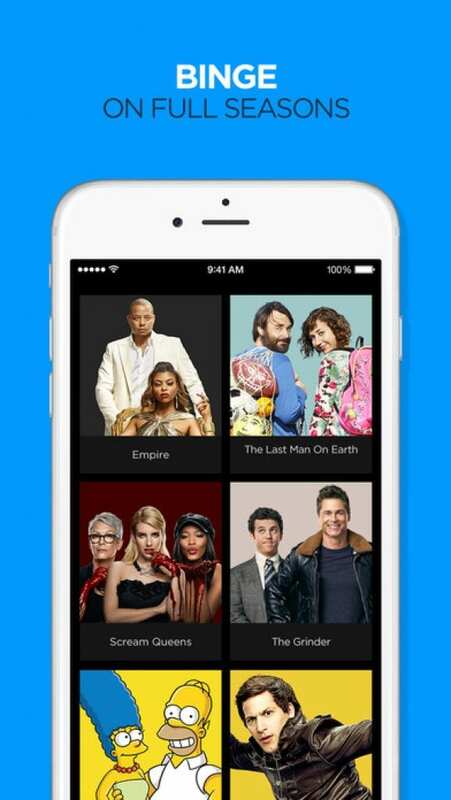 the Lifetime app boasts a watchlist stocked with all the episodes you’ve started watching, while Lifetime’s most popular reality show. Also, there are descriptions and information about all shows( its duration, date of airing and so on), streaming on Lifetime and if you want to watch something new, just read a description and start watching some you liked the most. 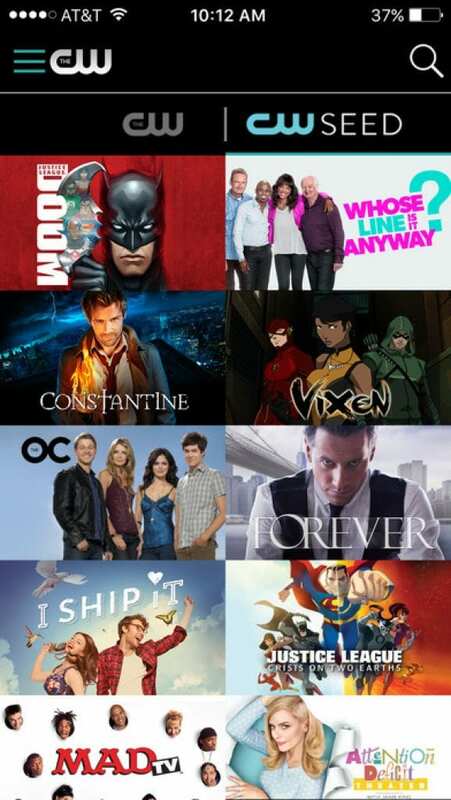 CONS : For most of the shows you’ll need to verify a pay-TV subscription if you want to watch some episodes from the current seasons (I am looking at you, Dance Moms) and some shows are completely locked even if you have paid for a subscription (Army Wives, the Clent List). 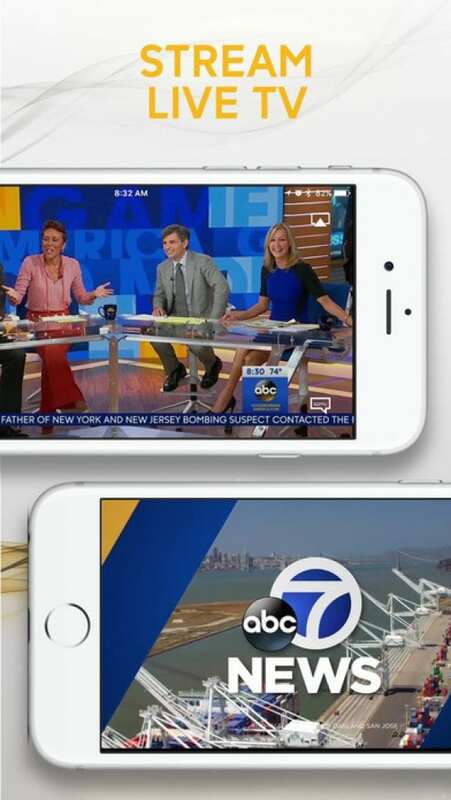 If we had talked about the previous version of NBC (no matter , whether it was on Android device or on iOS) we would have worried about why we install NBC. But now it has well changed and optimized. Speaking about NBC, there you will really get an access to full episodes of a top or your favorite shows. Simply requirement is to log in. 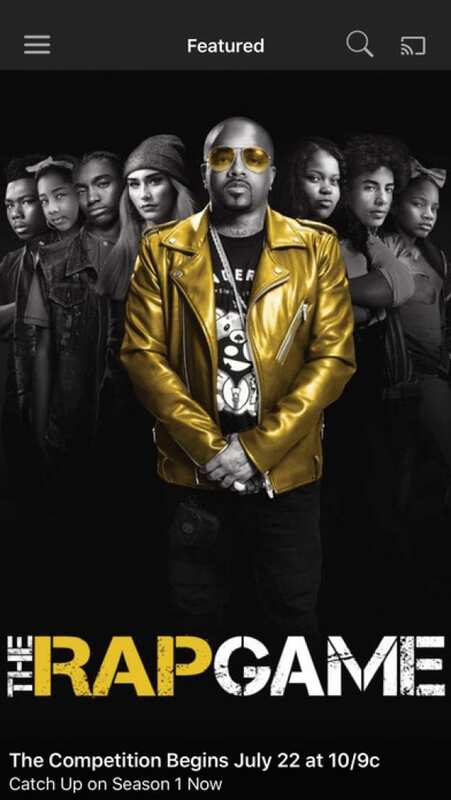 At leastAt least four of five recent episodes from just about every NBC show are typically up for streaming, including About a Boy, America’s Got Talent, Chicago Fire, Law & Order: SVU, Parenthood, The Blacklist, and The Voice. 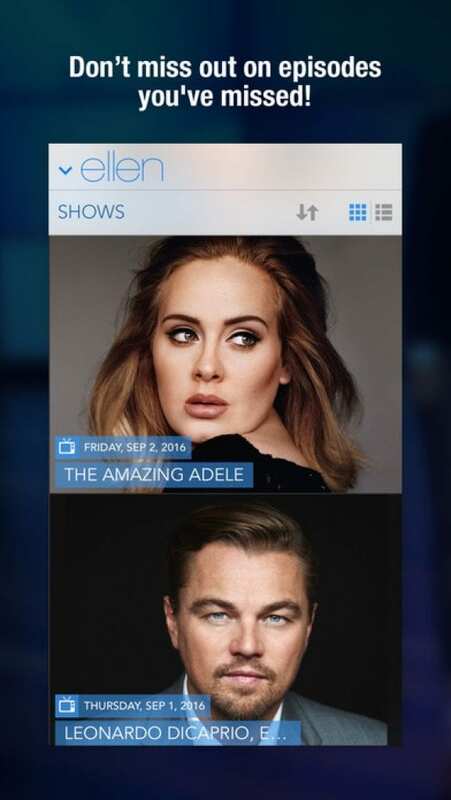 Of course, late-night and daytime shows are also available to watch. NBC gives ou an ability to pick up watching from you left off, so you will never loose your episodes. CONS: we can’t highlight some serious problems. The only thing that there are no full episodes of Hannibal and Grimm. So, why can’t I include YouTube- the most popular space for video sharing and watching and watching TV Shows in general? 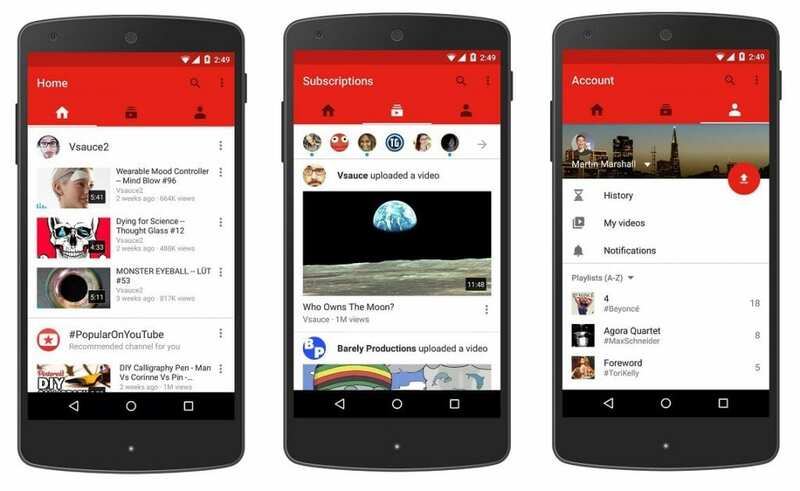 We have been knowing it for a long time, we trust YouTube and it has a lot of advantages. 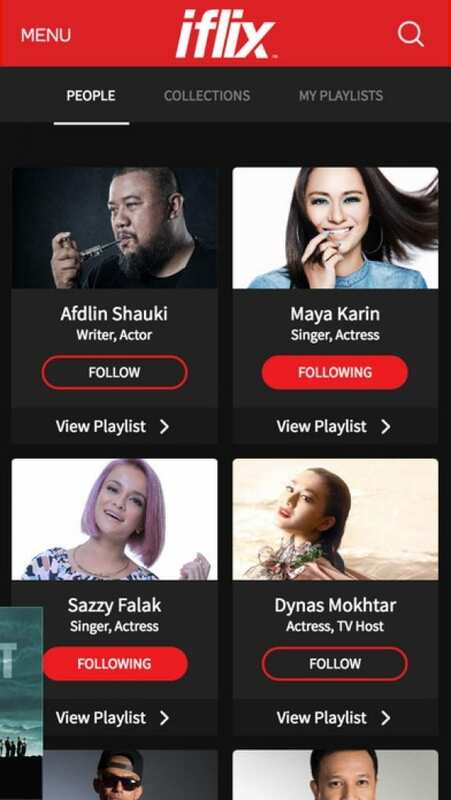 Firstly, an understandable interface with a personal account connected with Google, there is your wishlist and favorite clips, shows and interviews and you can add videos in the right turn.Most of the Channels download their shows to their channels on YouTube, so you have an ability to find what you want and in a high quality. 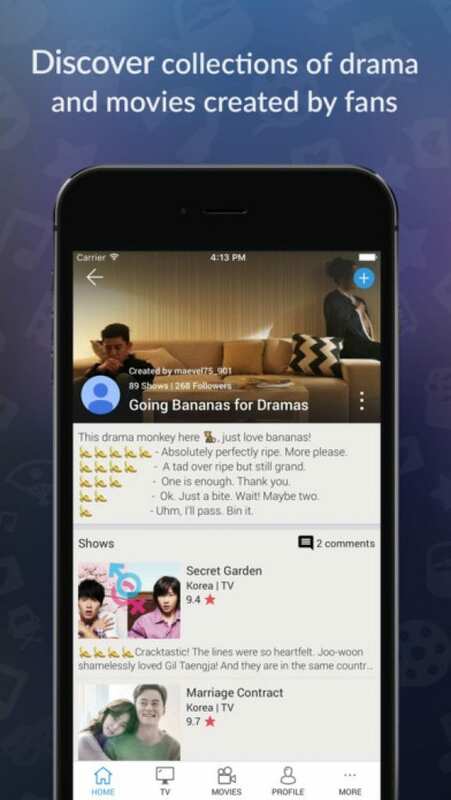 The app is created by the Southeast Asia’s biggest Internet TV service. 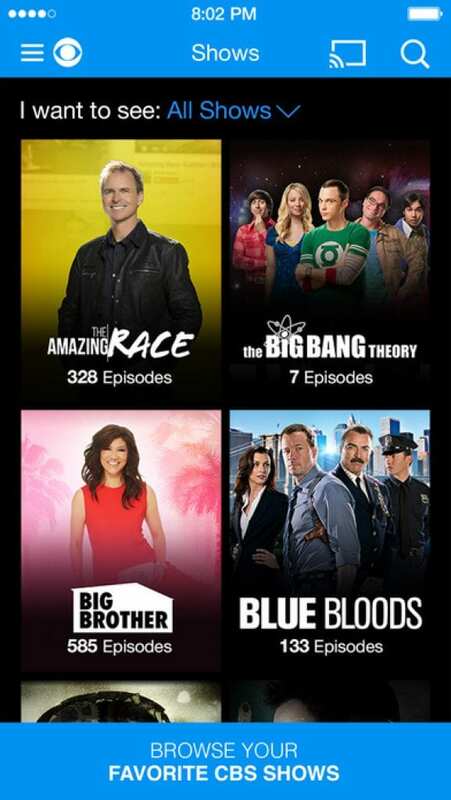 Thousands of the world streaming tv shows are available for free full watching. Its features: an ability to watch on your phone, laptop, tablet or TV and watch offline, if you don’t have the Internet connection. 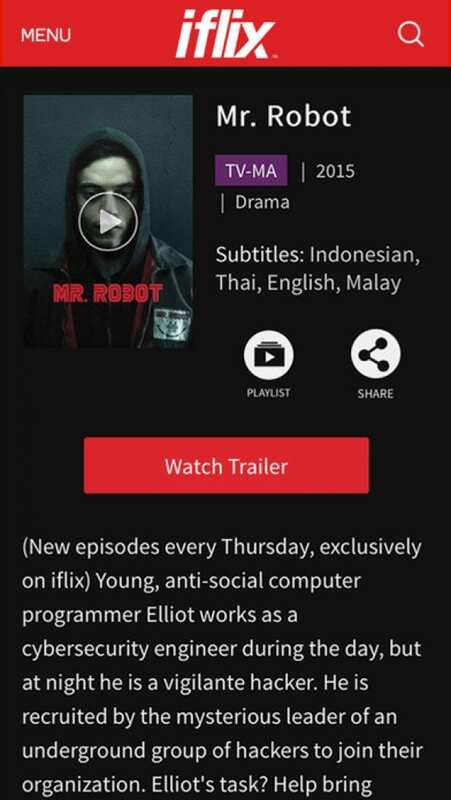 Another cool feature is English, Malay, Indonesian and Thai subtitles. You can use them if you want to practice in a new language. Moreover, there is a special dedicated section for kids. 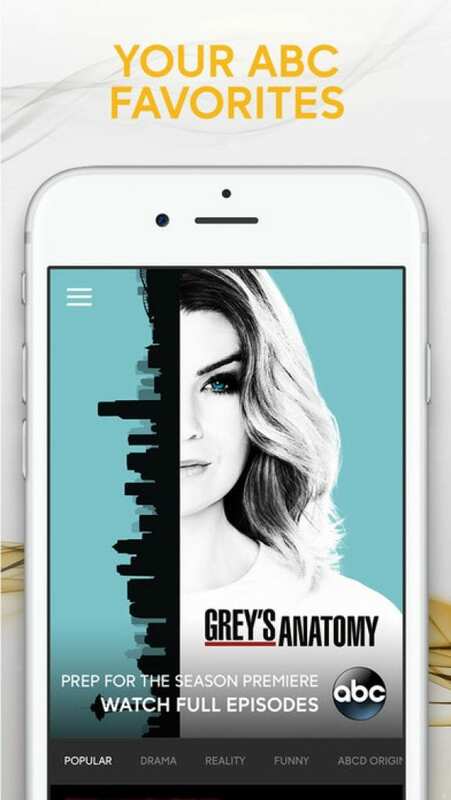 If you are looking for an app, where you can find all your favorite shows, here it is. AOL on is the library of over 1.5 million videos. 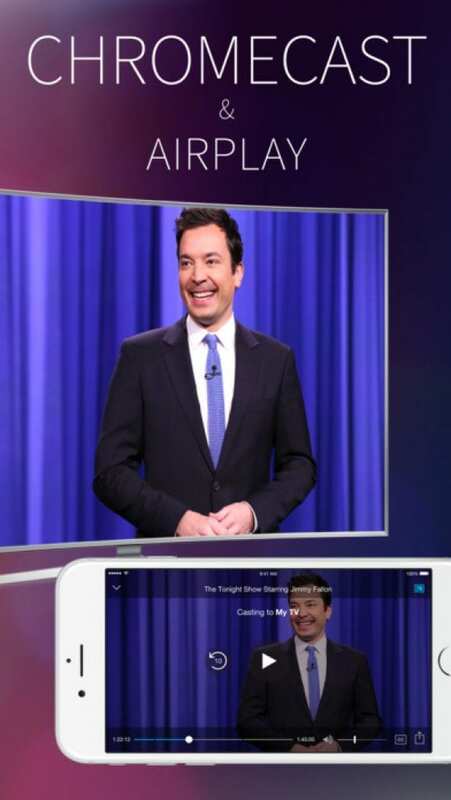 Whether you want to watch your favorite videos from Jimmy Fallon or Jimmy Kimmel, TMZ or Entertainment Tonight, even Huffington Post or WSJ . AOL On includes content from such legendary channels like NBC, ABC, A&E Sky News, Entertainment tonight, Discovery Channel and that kind of things. Try it! 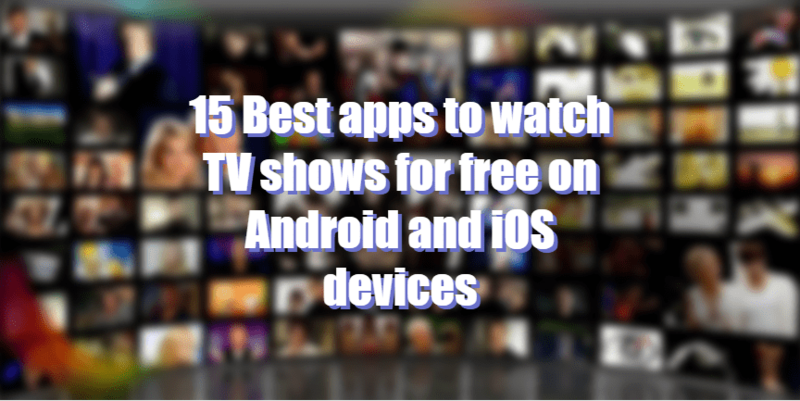 If you won’t like this one, remember of 14 other cool apps for watching TV Shows. Southeast Asia’s shows are very funny. Sometimes I even don’t understand the essence of the show, because of its madness. Says that Korean, Chinese, Japanese are so tired after work , so they prefer humorous and meaningless shows to some scientistic show or drama. 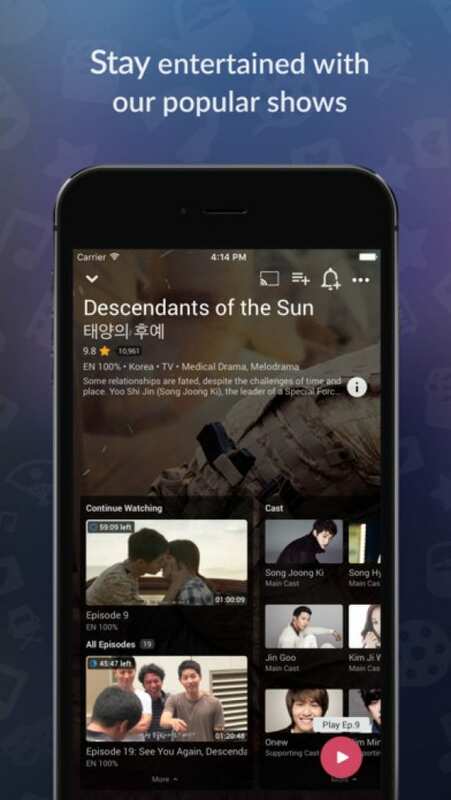 But there you can find a show of all kinds of genres from K-drama, C-Drama, romance, comedy to costume & period, SciFi & fantasy, action & adventure and beyond. Don’t be afraid of the language, shows are supported by the Subtitles available in English, Spanish, French,Chinese, German, Portuguese, Arabic, Romanian, and many other languages. Unfortunately, it has the only 7-day free trial, and you should be ready to pay for $4,99 per month or $49,9 per one year. Hope you will enjoy watching new episodes!